East Tennessee’s darling will soon be taking her songs to a completely different level soon: Streaming television. 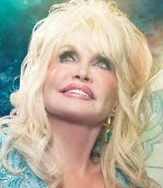 Off the popularity of her NBC television movie “Dolly Parton’s Christmas of Many Colors: Circle of Love,” Dolly announced her Dixie Pixie Productions is partnering with Warner Bros. Television to produce an 8-episode television film series for Netflix in 2019. The series doesn’t appear to have a name yet.